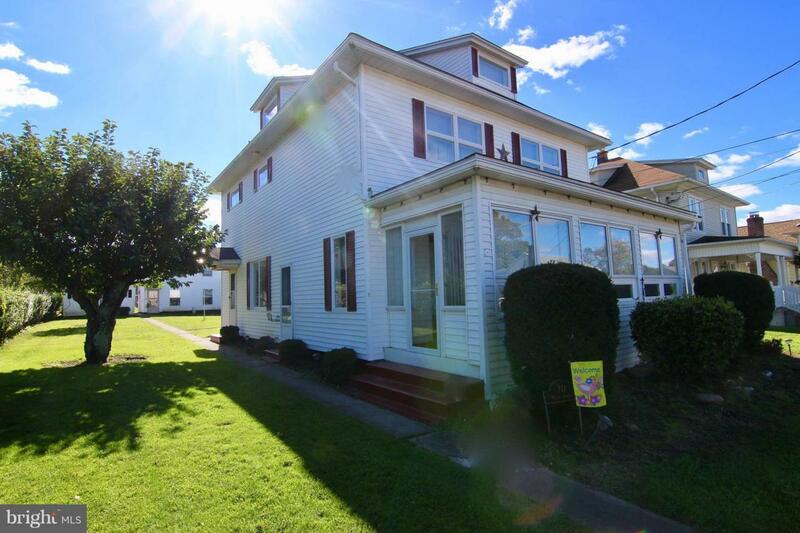 Spacious 4BR/1.5BA country home in Ringtown Borough with a bonus rental property. Lovingly maintained, the main house has all new vinyl siding, efficient replacement windows, and a one-car garage. The first floor layout with its grand foyer, living and dining rooms, galley kitchen, and powder room is accented with curved arch entranceways, wood and laminate floors, and an abundance of windows. The upstair bedrooms share a remodeled bath with decorative tile. The third floor walk-up attic is heated and offers either additional living space or storage. Outdoor enjoyment is encouraged with the level landscaped backyard. The cozy rental property/in-law home offers two bedrooms and a full bath and has vinyl siding, replacement windows, and a new metal roof. A very unique property for the area, call for a private showing.